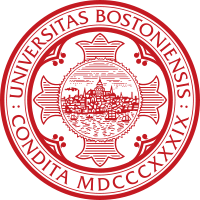 Check out some great writing from our own Cecilia Weddell, a BU senior, writing for BU Culture Shock. When I see former acquaintances, teammates, and even friends speaking against feminism—speaking against their own worth as equals to men—I am sad. I see these women as patriarchy’s biggest victims. They are women who have been convinced to fight against their own right to equality, and who truly do see their value in the terms of whether or not they have attracted the attention of a man. And it makes for an odd question of choice: should I cut this sort of thinking out of my life, unfollow, and move on? Should I try to understand and to educate, to explain the real values of feminism while risking further misunderstanding and ruin of what once was a friendship, or at least a mutual respect?